Settled in 1630, Newton, Massachusetts is a vibrant community comprised of 13 distinctive villages. With a population of about 80,000 residents and approximately 26,000 homes, the City also houses Boston College, Mount Ida College and Lasell College. The Boston Marathon runs right through the City with Heartbreak Hill beginning next to City Hall. 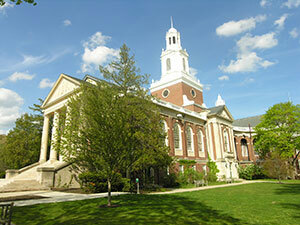 The Newton Free Library is well respected as one of the largest, most well equipped libraries in the Commonwealth.